Dorothy Sullivan was an informant for the Chicago office of the Federal Bureau of Narcotics. On Tuesday, January 22, 1942, she was scheduled to testify in federal court in support of the government’s case against two men charged with heroin sales. She never made it to court. 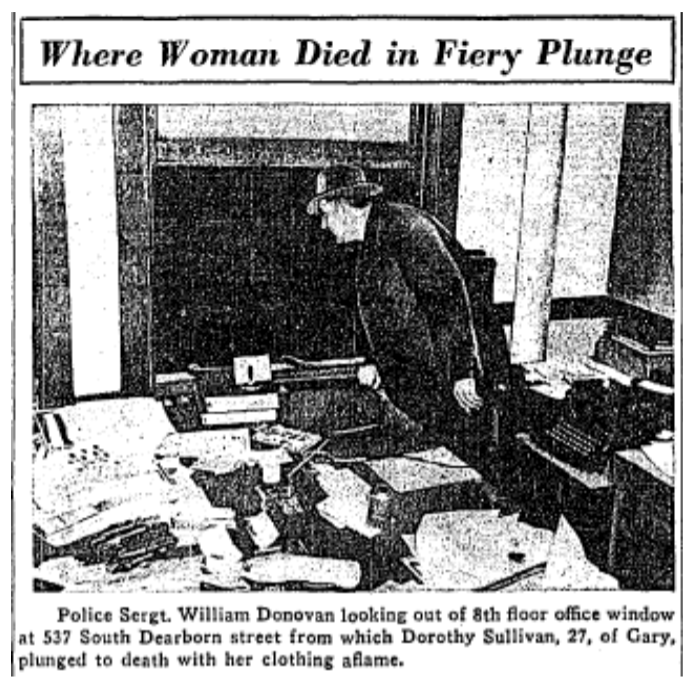 Instead, she fell, screaming and on fire, from eighth floor of a South Dearborn office building. Passers-by described looking up when they heard screams, and seeing what looked like a “flaming bundle of rags” plunging to the street. Dorothy Sullivan was killed instantly when she hit the ground, just one of an uncounted number of narcotics informants to meet a violent end over the course of the war on drugs. Their stories are rarely told.